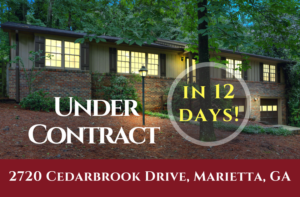 …Another #LeonandTinaRobbins Home Under Contract in just 12 DAYS! Welcome Home to this Immaculately Maintained 4-sided Brick Ranch in Fantastic Location! Ultra-PRIVATE yard w/ mature hardwoods offers your own sanctuary close to everything. ~Master Bedroom connects to 4 Season Sunroom bringing the Outdoor in Year Round.